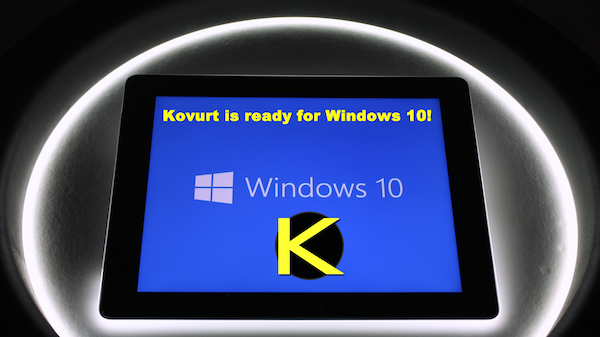 Kovurt Is Ready For Windows 10! Are you using a Windows PC, tablet, or Windows Phone? Microsoft’s Windows 10 began downloading to global users over the past 24 hours, and Kovurt has been preparing for this day for many months! The current version of Kovurt’s software all users currently have works great on all Windows 10 devices. In the coming weeks we’ll also be adding more features to our great Windows app. All users will have greater access to UDP/TCP changes, more geographic locations, and a streamlined user interface. Let us know if you have questions or comments about Windows 10 and Kovurt by logging into your secure account at https://www.Kovurt.com and letting us know. Be safe!